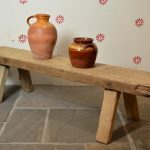 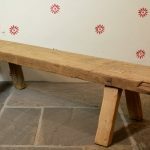 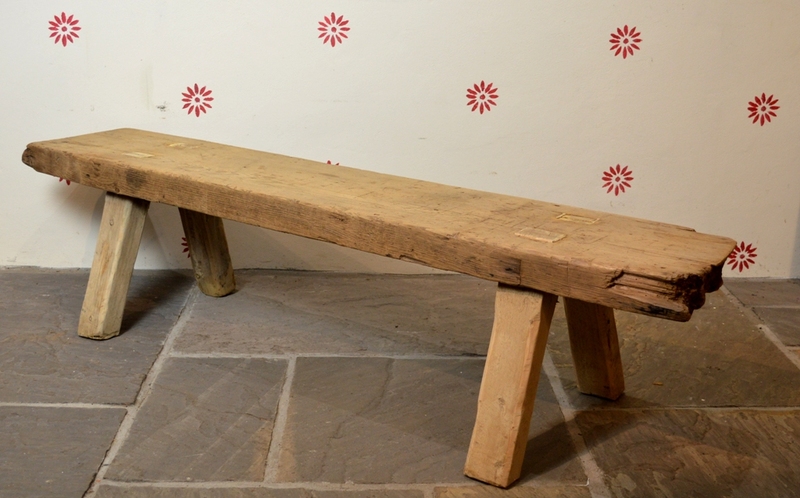 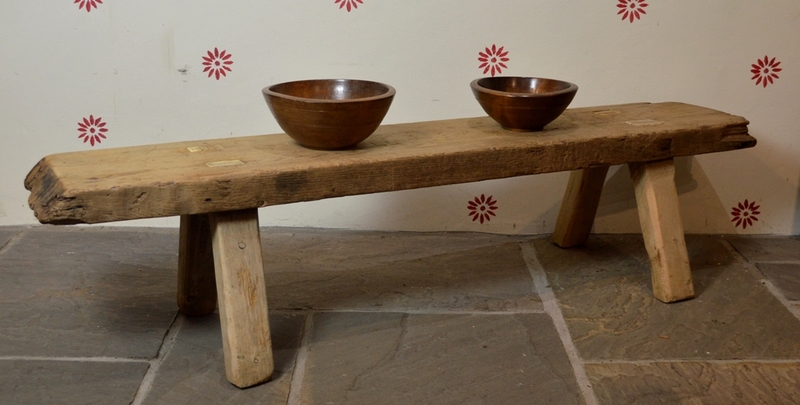 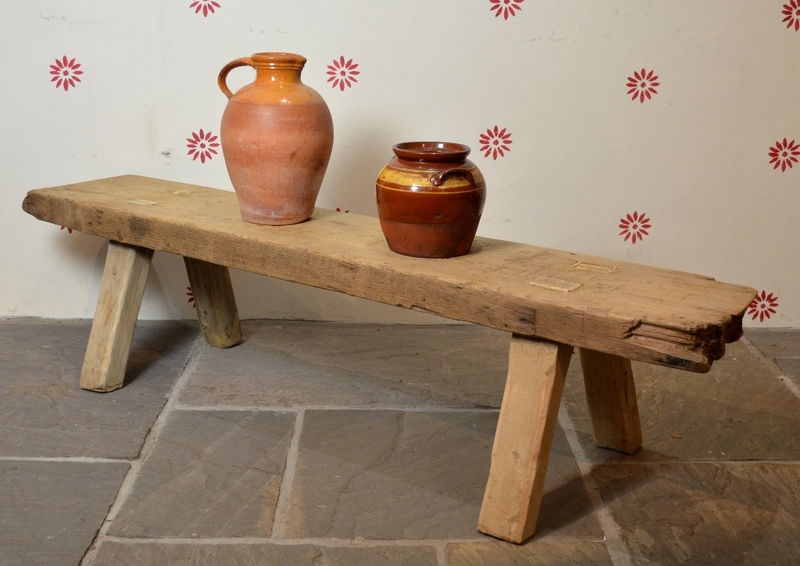 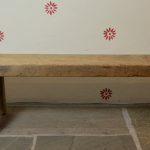 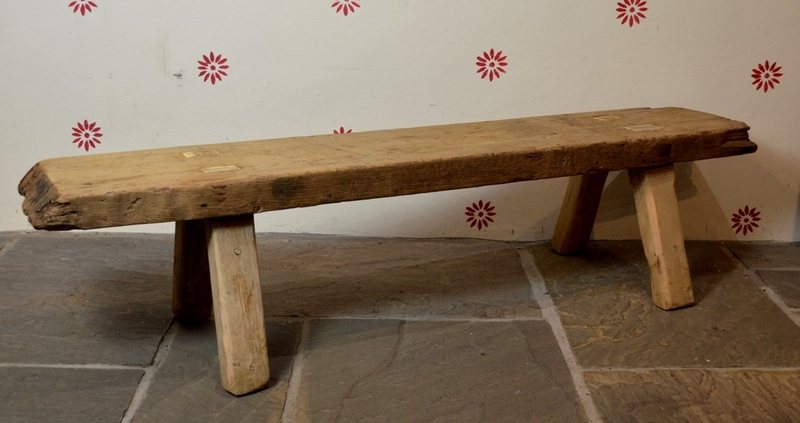 An antique pine pig bench which has a wonderful dry driftwood like appearance. 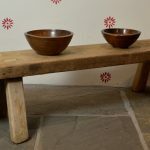 The top is made from a single thick slab of pine and with four square section legs. 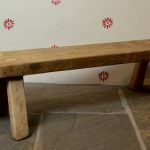 In good solid condition.